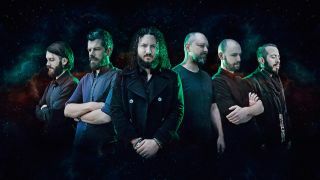 Haken have checked in from the studio to reveal that they’ve completed work on their fifth studio album. And in a new statement, Haken say: “We can now announce that our fifth album is now in the can! We always set out to do something a bit different with each album, but this one has surpassed what we had hoped to achieve. To mark the news, the band have also announced a co-headline tour of North America with Leprous. Bent Knee will also join them on the dates, which will take place in October, November and December. Haken say: “We’ve been talking about getting out on the road with our good mates Leprous again since our European jaunt with them back in 2014. “Both our bands have gone from strength to strength in terms of our live shows since then, and we’re excited to see what they have planned, as well as playing brand new music from our forthcoming album. “We actually did a tour together once in the UK back in 2014, and we have wanted to do a more comprehensive tour for a long time, but it just never worked out until now. Tickets for the shows will go on sale on Friday (July 13).